Sign up here for Email updates and your free Hypnosis for Intuition MP3 will be emailed to you! holds a Bachelors Degree in Psychology, from the University of California. She is a Certified Clinical Hypnotherapist and NLP Life Coach, as well as a Professional Artist. Following graduation from The University of California she worked as a group facilitator for the Navy Alcohol and Drug Safety Action Program, administered by the University of Arizona. There she earned the highest level of Facilitator 4 in the program through University of Arizona Psychology Department. After making a decision to be home and raise children she moved into another passion; Artwork, which provided her flexibility to be home while still growing, expressing and sharing. 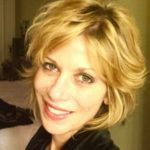 In 2012 she chose to incorporate the helping therapies back into her life and was certified as a Clinical Hypnotherapist followed by certification as a Neurolinguistic Practitioner/Life Coach in 2012.. She continues to learn and expand through workshops and other specialty certifications, including certification in Hypnotherapy for PTSD, Art Therapy Certification, Transpersonal Dowsing Certification and "Soul Link" certification - an energy based therapy that neutralizes negative emotions immediately. Desiree is the Author of "Journey to Joy - The Written Path" which was a # 1 new release and #1 Hot New Releases on Amazon upon it's release in August 2017! She is also the creator of the Intuitive Insight Process, which provides a path to personal insight through intuition. She is a teaching Faculty member of the Transformation TV, an online platform completely dedicated to self help programming. Desiree is available to see clients locally in the Washington DC area and also works with clients virtually. She also leads workshops in the Intuitive Insight Process as well as other areas of emotional wellness. Artistically - Desiree's painting has been strongly influenced through her teachers who studied under Henry Hensche in the Cape School of Art, which embraces the impressionist use of color. She particularly enjoys plein air painting and figure work. She was recognized by Expertise Magazine as one of the top 18 Art Instructors in the Baltimore, Md area for 2017 and 2018. Desiree is a featured artist in the book "100 Plein Air Painters of the Mid-Atlantic". She teaches Art through the Anne Arundel Community College, Maryland Hall for the Creative Arts, and the Columbia Art Center, as well as independently. If you would like to receive updates on events and retreats, go to www.intuitivejourneywithdesiree.com and sign up for emails, or fill out the form below!